The influential Savills World Residential Investability Ranking report has highlighted the US real estate market as the one with greatest potential going forward. This may surprise some investors when you bear in mind the patchy economic recovery across the US and indeed the large variation in state real estate market performances. The ranking is based upon general economic growth and market recovery potential and would seem to suggest that the US economy may be set for a period of relative prosperity. 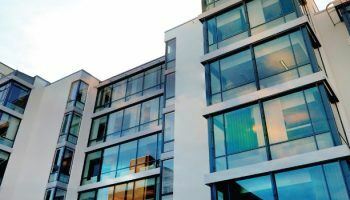 Like so many of the leading real estate markets around the world, such as London, the US real estate sector has been heavily impacted by overseas investors. Ongoing economic challenges in countries such as China have caused an interesting ripple across the market with increased investment rather than, as many had expected, a repatriations of funds. Relatively low interest rates, an improving economy and a number of relatively oversold US state property markets would seem to have caught the attention of Savills. The UAE has been a volatile real estate investment market since the turn-of-the-century with the rise and fall of the Dubai market a perfect example. The Dubai property market is by far and away the most popular in the region and is certainly benefiting from a more rigid regulatory structure together with growing confidence not only amongst domestic but also international investors. Many see Dubai as one of the more prominent real estate markets going forward with a growing opinion that lessons have been learned from the 2008 collapse. Singapore was third placed in this particular ranking report which is interesting when you bear in mind the ongoing problems impacting China. The Far East is dominated by the Chinese economy although many believe that the Singapore markets were oversold and there is potential going forward. The Singapore real estate market has been a favourite amongst expats over the years and is seen by many investors as one of the more forward-looking and innovative countries. Even though the UK real estate market has performed admirably since the 2008 worldwide economic downturn many experts believe there is still further to go in the medium to long term. Investment returns for 2015 could approach 6%, which is double what many thought at the start of the year, and while 2016 could be year of consolidation there would appear to be reasons to be optimistic going forward. While the Bank of England continues to threaten an increase in base rates this would appear to be some way off when you consider the ongoing economic challenges in the Far East. The Spanish property market was decimated by the Greek debacle as well as the 2008 US inspired worldwide economic downturn. Many property investors in Spain ran for the hills at the first sign of trouble leaving a raft of repossessions and unwanted properties. It has taken some time to address this issue although beneficial treatment with regards to residency visas for those investing in Spanish property has helped. There is a growing feeling that the overhang of repossessed properties/forced sales is coming to an end and the market should begin to recover. However, much of this expected improvement in the Spanish real estate market depends upon the wider European “state” and the ever-growing economic and political challenges. As of the first quarter of this year, buyers from 123 nationalities poured billions of dirhams into the Dubai real estate market. Since 2002, when the first Freehold Law was passed, real estate Dubai has seen tremendous growth, offering foreign investors the opportunity to purchase Dubai real estate. Off late, Dubai has reduced its reliance on oil revenues. Therefore, the impact of lower global oil prices on the emirate’s economy is not likely to be significant. The UAE also benefits from its strategic geographical location, attractive business environment, Free Zone incentives and favourable tax frameworks for multinational corporations. Moreover, the latest amendment of the tax law in the US will add another financial incentive for international investors to include American commercial property in their portfolios. As part of the federal budget bill passed in December, the US government loosened a number of restrictions that were holding back potentially billions of dollars in foreign capital. Among the major provisions: Foreigners can now hold a 10% stake in an American REIT, without triggering a federal law that would require paying income taxes when they sell US real estate. It’s so tough to encounter right information on the blog. I really loved reading this post..
Is it worth constantly chasing property hotspots? When will Donald Trump help real estate first-time buyers?